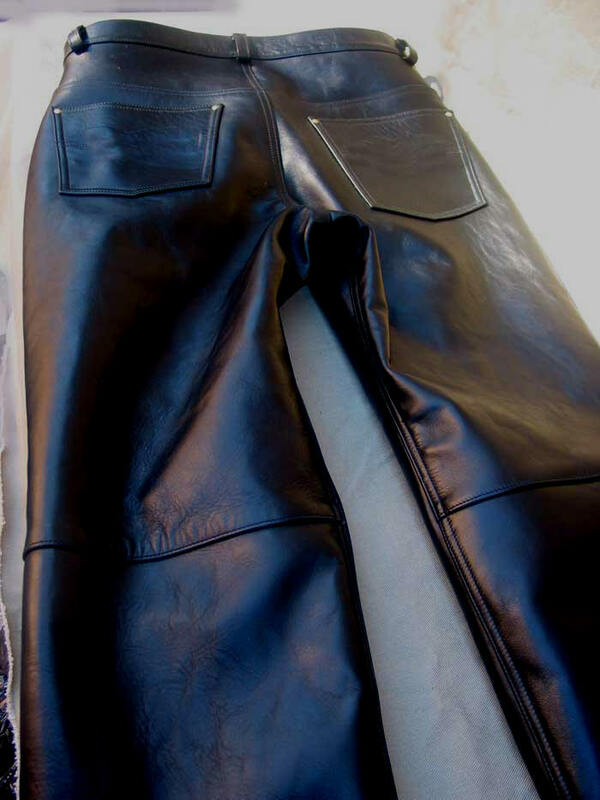 From Duane Eddy to Jim Morrison and on, guys have worn leather jeans that only looked good at a distance. 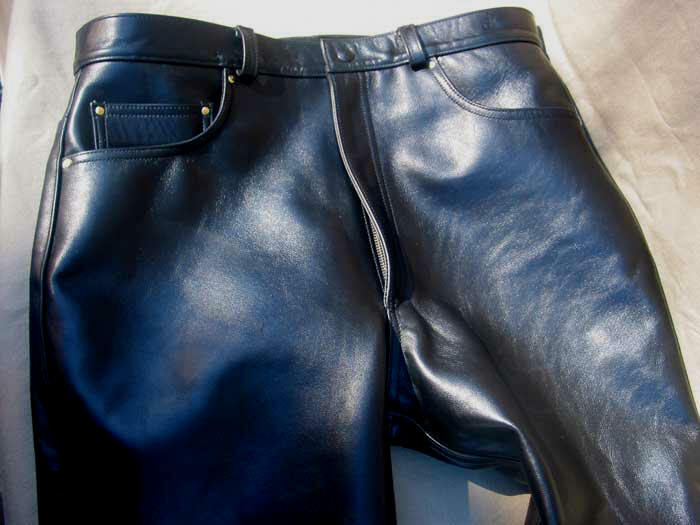 The craftsmanship, hides and detail of our LOST WORLDS Horsehide Jeans command up-close inspection. Customers marvel at the stitching and workmanship, the definition and expression of feature. When broken in, famed our JEANS soften remarkably and thoroughly articulate the gorgeous furrowed grain for which genuine Horsehide is renowned. These are for motorcycles, for trend setting and (even) for party impact! 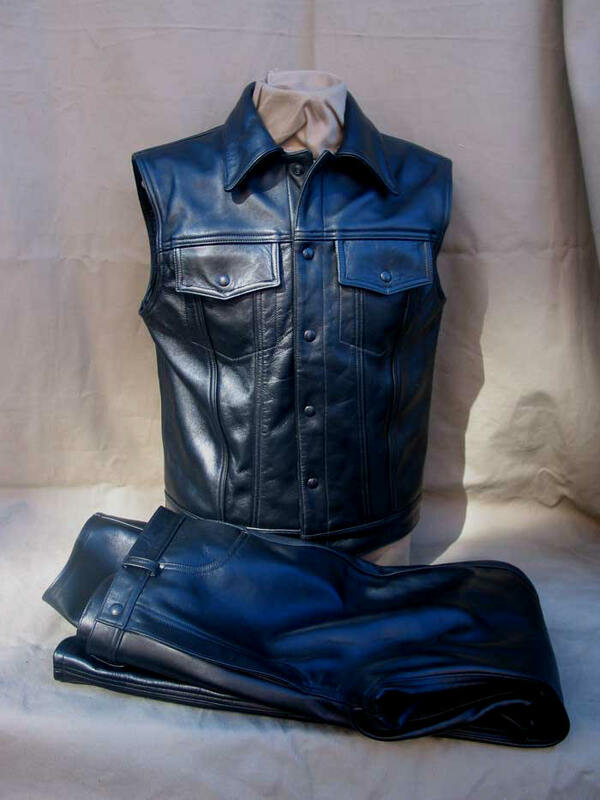 But forget about impact ... no, consider real impact -- great Horsehide, and ours is extraordinary, has been renowned as a virtual lifesaver in bad motorcycle falls. It has remarkably defeated the dangers of road rash; it has prevented serious injury. 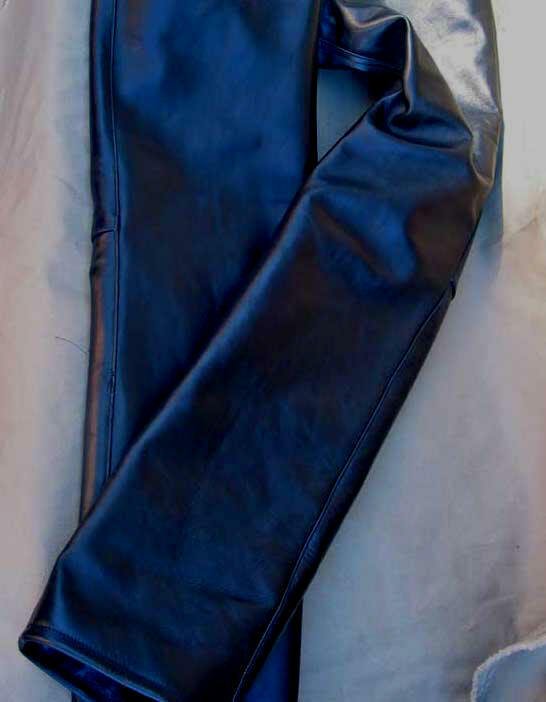 Our Jeans are motorcycle equipment first and foremost. That they're extraordinary looking, , unique, is the perk of form following function. 1-pc. Front, 2-pc. Back Leg. 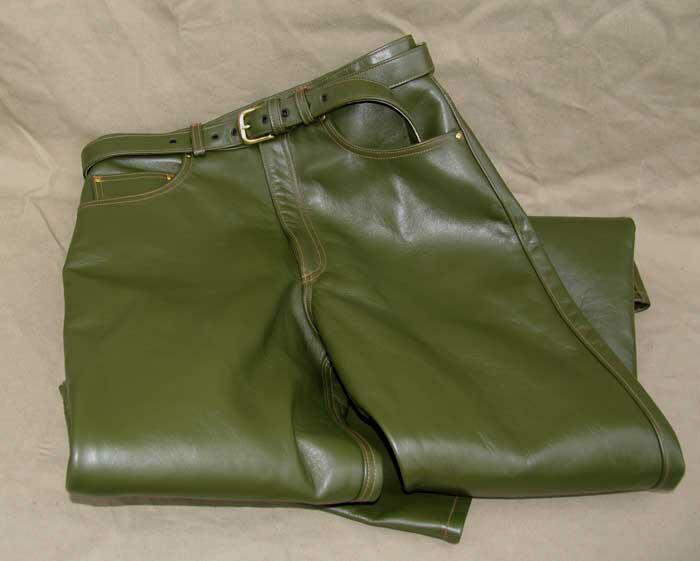 Half-lining, NOS vintage Talon zipper. The world for eons before the present mutation defined itself by a quest for a measure of Honor, Independence, Mechanical Dexterity, Knowledge. All this stuff was the true Cool. 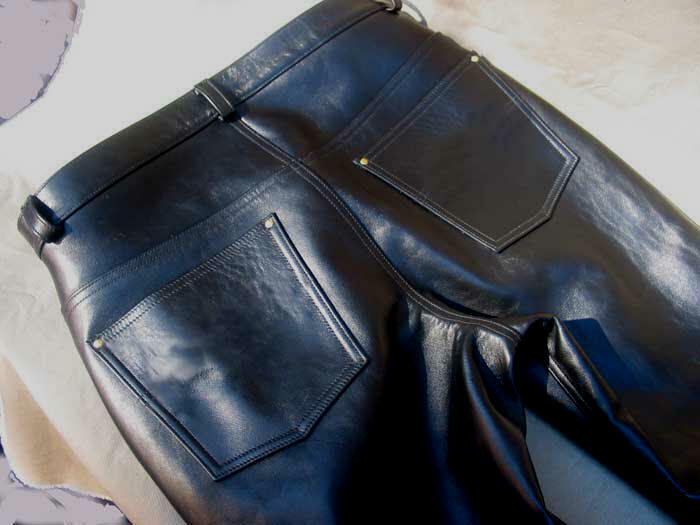 Wear the Horsehide Leather Jeans with our HorsehideJeansJacket for the ultimate leather combo.